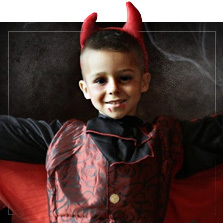 The smallest kids will feel terrified and have fun this night of horrors, with the most original Halloween costumes for kids! 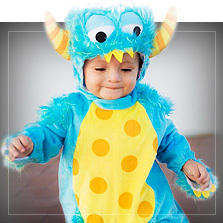 You will love to go Trick or Treating with these Halloween costumes for children. Asking for sweets has never been so terrifyingly fun. 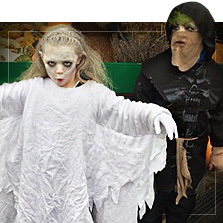 This old Irish tradition is the sweetest and the favourite amongst little children because there is only one night they get to eat sweets and dress up. Don't forget the Halloween costumes for your children...or you will have an awful night...Oooh! 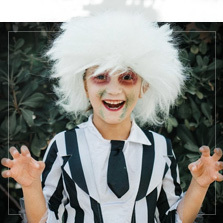 And just incase you feel a little lost...at Funidelia you will find the best ideas for your Halloween costumes. 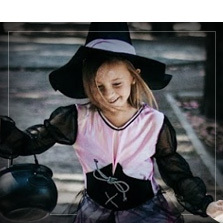 Witches and magician costumes for kids, vampire outfits, a terrifying little pumpkin, a skeleton, a ghost or a naughty little devil... All the styles that you can think of. 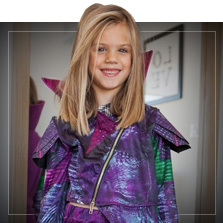 If your child prefers a Halloween costume from one of his favourite cartoon characters, you will also find Descendants, Ghostbusters and even Monster High outfits. With our Halloween costumes for kids they will die of excitement! 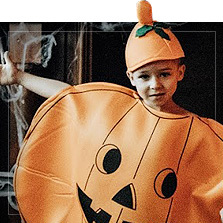 You will love all the ideas we have prepared for scary kids costumes this year. 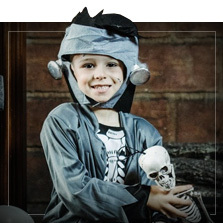 From the most classic kids costumes like little witches or wizards, vampires, ghosts, pumpkins, skeletons or little devils to any of your favourite characters like The Ghostbusters, Monsters High or even Harry Potter. Choose which of these Halloween costumes for children are your favourites and allow them to enjoy the most terrifying night of the year.